Reopening the discussion about whether to re-designate the DPRK as a state sponsor of terrorism is inevitable in the current environment. The public and highly theatrical assassination of Kim Jong Nam using VX nerve gas followed by a nasty diplomatic contretemps between the Malaysian and North Korean governments would suffice to make any observer question the relevance of the Bush Administration’s decision to remove Pyongyang from the State Sponsors of Terrorism list. Designating a government a state sponsor of terrorism is more of an art than a science. Political and diplomatic context plays a considerable role in such designations. But, there are technical and legal aspects to the effort that are necessary and important parts of the designation process as well. 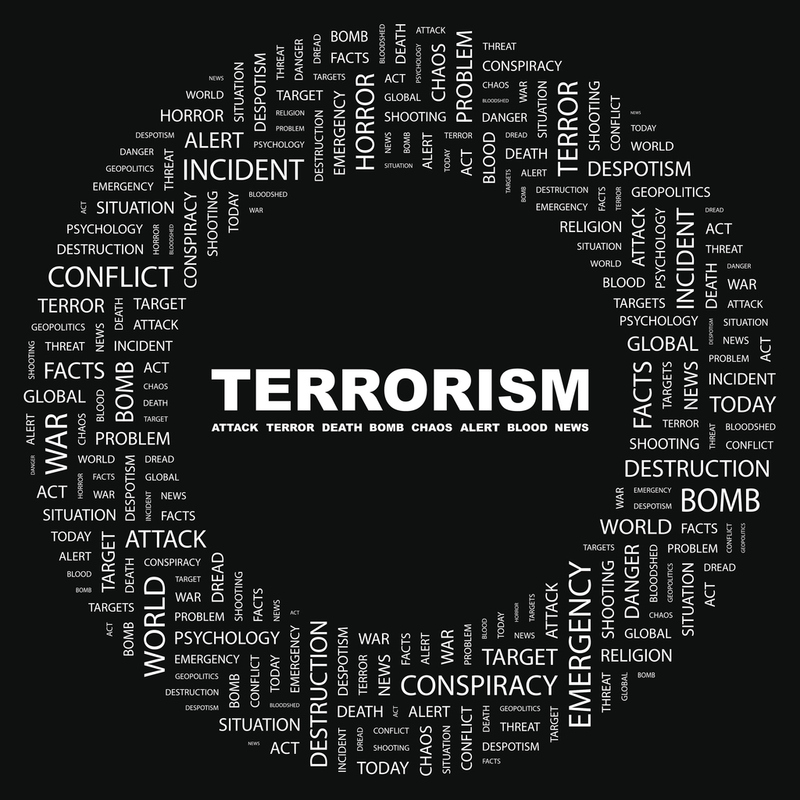 If these are ignored, implementation can be seriously affected—as we have seen with the Trump Administration’s hasty and ill-conceived initial effort to ban travel from countries that, at one time or another, have been designated as state sponsors of terrorism. The more important question to examine, however, is whether such a designation would be helpful in dealing with the rapidly deteriorating effort to contain North Korea’s nuclear and missile programs and to prevent a crisis on the Korean Peninsula. This article will suggest that it would be premature to designate the DPRK until the US has gotten its ducks in a row with regard to North Korea policy and the personnel to implement it. Only three countries are currently designated state sponsors: Iran, Syria and Sudan. Cuba, Libya, Iraq and North Korea and the former South Yemen were previously designated but were removed in recent years. It is worthy to note that in each case the lifting of the designation took place either in the context of regime change or of a significant shift in the country’s diplomatic relations with the United States. TERRORISM. Background concept wordcloud illustration. Print concept word cloud. Graphic collage. The Secretary of State has a lot more legislative guidance on how to remove a country from the list than on when to put one on. While the legislation requires the Secretary to report to Congress on specific activities relevant to state sponsorship of terrorism (e.g., providing safe haven to terrorist groups), it does not provide legislative triggers or guidance for designation other than the requirement that such a country must “repeatedly” provide support for acts of international terrorism. Thus, a US ally like Pakistan, which certainly has had rather suspicious links to repeated terrorist attacks in India and Afghanistan, is not designated. There is, therefore, an implicit “national interest” criterion in the designation. Where it would harm the national interest to designate and sanction a country (as designating Pakistan probably would), Secretaries of State have avoided it and the legislation allows such executive discretion. Removal from the state sponsors list, however, requires the country to meet one of two sets of criteria. The President must either certify to Congress that the government of the country in question has changed fundamentally in terms of policies and personnel and not provided support to terrorism, or that it has not provided support to international terrorism for six months. In both cases, the President must also certify that the government to be removed from the list has given the US assurances that it will not support international terrorism in the future. In 2008, President Bush used this mechanism to remove North Korea from the list of state sponsors. The DPRK had long met the criteria. However, the removal from the list was linked to other elements of US negotiations on nuclear matters. The Executive Branch cannot lift sanctions for state sponsorship of terrorism without meeting the legislative criteria, but in practice, it takes far more than meeting the criteria to be removed. Can North Korea Be Re-Designated? Should It? Given the March 8 statement by the Malaysian Prime Minister implicating the government of North Korea in the murder of Kim Jong Nam, it would seem to qualify as an act of state sponsored international terrorism under the law. The use of a prohibited chemical weapon in an attack in a public area of another nation makes it particularly heinous. True, it is not of the same level of viciousness as North Korea’s past campaign of state sponsored terrorism. The victim was a single North Korean terminated apparently in Pyongyang’s Byzantine family power struggle, whereas in Pyongyang’s previous campaign of state sponsored terror, the targets were South Korean civilians and officials in large numbers. This included a bomb attack in Rangoon that murdered a significant part of the ROK Cabinet and the bombing of a South Korean civilian airliner killing 115 people in the 1980s. Moreover, a single intra-family assassination does not necessarily meet the “repeated” support criterion for designation, but if the international outcry over the assassination is loud enough (e.g., through some decision of the UN Security Council), one suspects a means could be found to move forward. It would seem absurd to have to wait for Pyongyang to conduct a second VX attack in order to do so. It is possible that the Secretary of State could simply conclude that the DPRK had violated assurances that permitted President Bush to lift the designation as a state sponsor, requiring him to re-designate Pyongyang; he could also consider North Korea’s recent cyber attacks on the US and South Korea as an act of state-sponsored terrorism. So, in all probability, the Secretary could designate North Korea. This might take a little time—even in this post-truth era—as sanctions decisions are fact-based and must meet legal and procedural standards. This will require some concrete, legal basis for concluding there was a definite North Korean government role in the assassination. The real issues are whether and when he should do it. There are two strong reasons to do so. The first is the heinous nature of the killing—particularly the use of a chemical weapon on the territory of a previously friendly country. The second is that the diplomatic context for removing the DPRK from the state sponsors list has evaporated. Prior to the assassination, the second reason was often given for returning North Korea to the list. It never gained traction largely because it did not give the Secretary any legal basis for such a step. But, now that there is an actual act of terrorism to consider, the lack of a diplomatic context for keeping North Korea off the list provides support for taking the step. It is hard to find a tactical basis for not taking the step when our previous nuclear dialogue is in a state of collapse. There is certainly a diplomatic logic to withdrawing what was, in fact if not in law, a concession made to Pyongyang in the context of progress on nuclear and missile issues now that the North Koreans are hell-bent on developing a strategic nuclear deterrent. On the other hand, re-designation offers only limited gains. The specific sanctions required by the state sponsor designation largely already apply to North Korea under a myriad of other sanctions provisions. Designation as a state sponsor of terrorism might give our financial officials a little more clout in going after North Korean financial transfers, but there is no sanctions magic here. It will have an additional impact on North Korea’s already badly tarnished international reputation. But the greatest practical impact of sanctions for the Kim Jong Nam assassination has nothing to do with imposing additional US sanctions. It is the fact that Malaysia—previously quite tolerant of certain North Korean activities such as taking a relatively restrained approach to inspecting suspect North Korean cargos and tolerating suspect North Korean businesses—is likely to be much more willing to crack down. However, strategically, there should be no rush to designate Pyongyang. In the larger regional context, the North Korean issue does not need any additional ignition points. Tensions are already running high on the North Korean missile front with its tests of ballistic missile strikes on Japan and with both US and Japanese sources floating stories about preemptive military options to deal with it, not to mention the somewhat more rapid deployment of THAAD than outside observers expected. The United States and its allies have one overarching strategic goal here: to prevent the North Korean nuclear and missile program from destabilizing peace and security in East Asia. A decision on designating North Korea needs to be made in that larger context and not as an emotional reaction to another North Korean outrage. This is not to say a designation would likely generate a kinetic response from Pyongyang, but we are already sliding towards confrontation in the region there is no immediate need to do anything to accelerate the slide. The pace of events may already be faster than the involved governments can control. The situation is rapidly taking on the features of a crisis without exit in which all players are taking steps that—while sensible from their own perspective—successively drive each party in turn to adopt more confrontational responses. The US, ROK and DPRK are all leadership-challenged at the moment, due to various political crises, transitions and self-inflicted wounds in the Kim family. Under these circumstances, the United States and its allies would benefit from taking more time to sort out their own policies and administrations, to put their diplomatic and military ducks in a row for what promises to be a dangerous year on the Korean peninsula, and to allow the facts on the Kim Jong Nam assassination to emerge. Designating North Korea is a card that should be played only if and when it opens up avenues to resolve the larger strategic issue before Washington and its allies. That issue is to prevent a North Korean strategic nuclear force from becoming a threat to peace and to do so without provoking a second (and potentially nuclear) Korean War. This might be in the context of some major sanctions push in the UN Security Council or even renewed negotiations. At minimum one would hope the Secretary of State will discuss how a designation would affect the calculation of our regional allies and the Chinese during his meetings in the region. The Chinese, in particular, seem concerned that events are moving out of control, at least if the Chinese Foreign Minister’s recent characterization of the US and DPRK as two trains moving towards each other at high speed on the same track can be taken seriously. While Pyongyang may richly deserve the designation as a state sponsor of terrorism, it would be no sin to follow a deliberative pace in the designation process. A little over a hundred years ago, a state sponsored international terrorist political assassination in a strange city far away lit a spark among major powers that were absorbed in other domestic and international concerns. They unwittingly followed the logic of their responses to the assassination into a global war totally disproportionate to the crime. That war led to the fall of three empires, the death of millions and the end of Europe’s golden age. In the current environment on the Korean peninsula, taking a few weeks or months to sort things through on a terrorist designation will play to the US long-term advantage. Country Reports on Terrorism, Chapter 3. An excellent list of possible additional acts of international terrorism supported by North Korea can be found in, Bruce Klinger’s recent article for Heritage Foundation, http://www.heritage.org/terrorism/report/north-korea-should-be-put-back-the-terrorist-list.